we have been successful in establishing ourselves as a distinguished manufacturer, supplier and exporter of Spiral Spring in the industry. The product is precisely designed using high grade raw material and advanced technology. This spring is a form of torsion spring types applied when ever very less space is available and higher amount of torque is required. At our premises, we have installed quality testing equipment to ensure that all the products are in compliance with the ISO standards and norms. 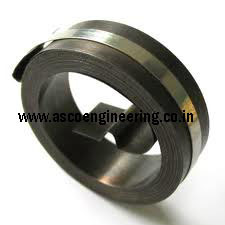 Asco one of the renowned Industrial spiral spring exporters and suppliers of our design. 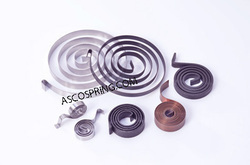 Asco manufacture Industrial Spiral Springs to provide resistance to forces of twist or rotation. Ever since our inception, Asco reckoned among some of the leading business entities engaged in bringing forth a comprehensive assortment of Industrial Spiral Springs. 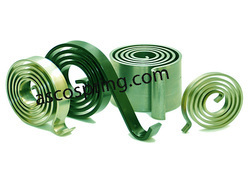 Available at industry leading prices, we manufacture these spiral spring using rectangular section material, flat strip with round edges or normal slit edges with equal or increasing space between coils. Preferred for various salient features like longer service life and optimum quality, Asco can also customize these products as per client's specification. Asco spring engaged in manufacturing an enduring range of Industrial Spiral Springs, employing the best quality raw materials procured from our reliable sources. Asco Springs is a name, one can rely upon completely, as we offer the best quality products to our esteemed clients. Leveraging on our vast industrial experience and domain expertise we are a trusted manufacturer, exporter and supplier of Flat Wire Spiral Springs. 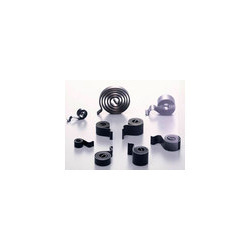 These springs are widely appreciated and demanded for by our esteemed clients across the globe. 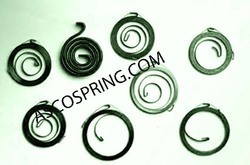 We supply high quality spiral spring in different sizes. These springs maintain their shape with no casing. We supply these flawless range of springs in domestic and international markets. Manufactured from flat section of spring steel strip of all grades & stainless steel, Ph. Bronze and Copper. Our spiral spring are trustworthy, manufactured using latest techniques with zero percent compromise on quality. The terms like durable and excellent appear out to be most appropriate when one starts looking for the words to describe the spiral spring forming part of our collection. We produce a extensive array of Clock Spiral Torsion Springs. We manufacture these springs in a variety of materials in either round edge or flat stock. It can also be customized as per the order and the requirement of our valued client. We make use of high-end technology and sophisticated machines to fabricate our products. We are backed by a competent team of professionals who come up with their 100% potential to complete all the bulk requirements. We also export these springs in European countries like Europe, Austria, Belgium, Denmark, England, France Georgia, Germany, Greece, Hungary Iceland, Poland, Portugal, Romania, Spain Sweden, Switzerland, Ukraine, United Kingdom (UK), Italy. 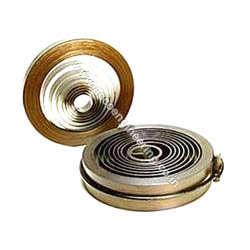 We are one of the renowned spiral torsion spring exporters and suppliers of our domain. We manufacture Torsion Springs to provide resistance to forces of twist or rotation. Ever since our inception, we are reckoned among some of the leading business entities engaged in bringing forth a comprehensive assortment of Spiral Torsion Springs. Available at industry leading prices, we manufacture these spiral spring using rectangular section material, flat strip with round edges or normal slit edges with equal or increasing space between coils. Preferred for various salient features like longer service life and optimum quality, we can also customize these products as per client's specification. Owing the team of expert engineers and workers, we are engaged in offering high quality range of Spiral Springs. 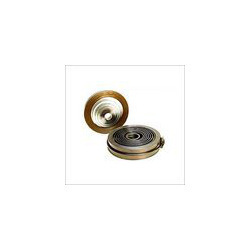 Spiral spring are widely used in various applications and are manufactured as per the requirements of our clients. Further, the raw material used in the manufacturing is procured from the reliable vendors of the industries.